The Lady Bulldog soccer team suffered their first district loss Saturday on the road against Goddard, evening their D4-AAAAA record at 1-1. But while the slim 2-0 defeat was a frustrating one, head coach Tim Trentham is confident his athletes learned from the experience and will be ready to build on that knowledge in their final four district bouts of the year. “We did alright,” Trentham said Saturday. “We have up a little bit more in the middle than we should have, which kind of hurt us. They’re a very good attacking team, they leave a lot of room in the middle, and we just weren’t taking advantage of it. The Lady Rockets picked up their first goal in the opening seconds of the game, throwing the Lady ‘Dogs a bit of course. Goddard was able to tack on their second before the half, then hold through the final 40 minutes for the win. The loss dropped Artesia to 7-8 on the season. The Lady Bulldogs had evened their record and kicked off their district slate with a 3-1 win Tuesday over Lovington on the road, their first game since a Sept. 26 victory over Portales in Portales, 4-1. The Artesia girls will open that three-game home stand Thursday at 7 p.m. versus Roswell High at the Mack Chase Athletic Complex. 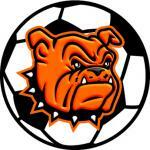 The team then hosts Lovington at 1 p.m. Saturday and Goddard at 7 p.m. Oct. 20. “We know Roswell High is going to be a fierce competitor,” said Trentham. “They always are. But if we can get our win at home and then split with them and maybe split with Goddard, I think that gives us a really good shot overall in the district.